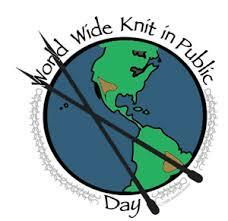 World Wide Knit in Public Day is a day to share knitting with everyone. We're inviting knitters to join our Saturday Spinning ladies, let's expand our crafting community and share our passion for all things fiber... crocheters are welcome too! Join us for a wonderful day of spinning, socializing, food and fun. Bring your wheel, your spindles, your show & tell. We'll provide drinks and light lunch, feel free to bring a treat to share with your fellow spinners.